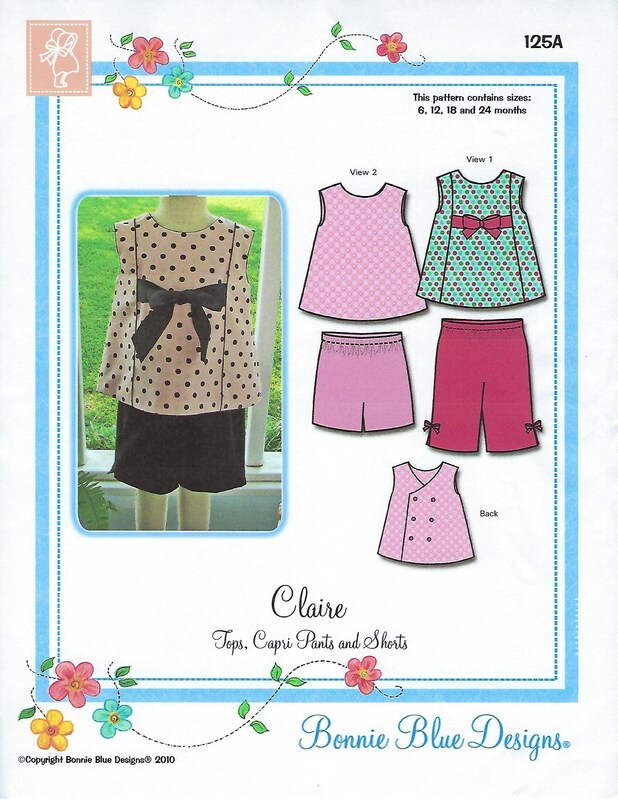 Package includes patterns and instructions to make Tops, Capri Pants & Shorts. Easy to make and fun to wear play sets. Top View 1 has front princess seams. Top View 2 has solid front that is ideal for applique or monograms. Tops are fully lined with back double breasted closings. Capri pants and shorts sit just below the waist for easy fit. Classic styling for mix and match sets. Detailed instructions and illustrations are included. "Piping How To's" and "How to Make Piping" instructions included! 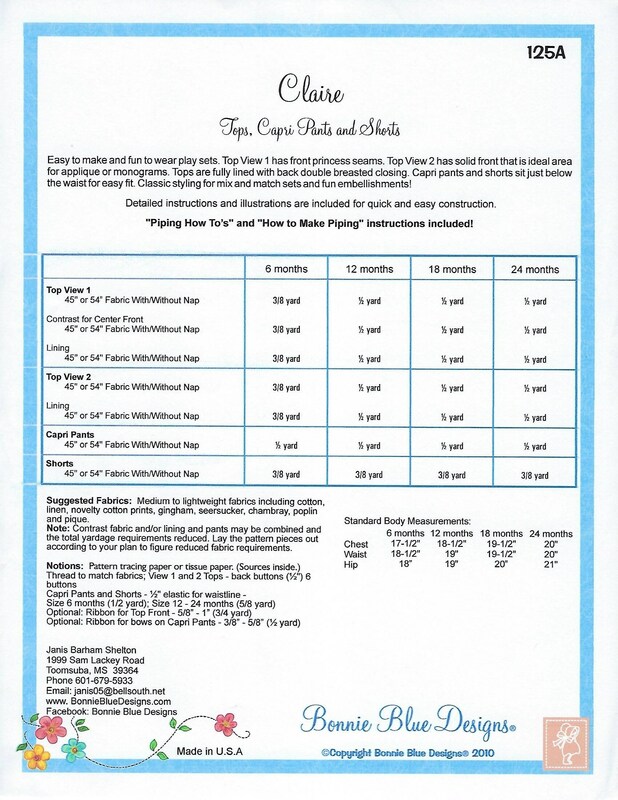 125A (6 mo, 12 mo, 18 mo, 24 mo) All sizes included in one envelope. 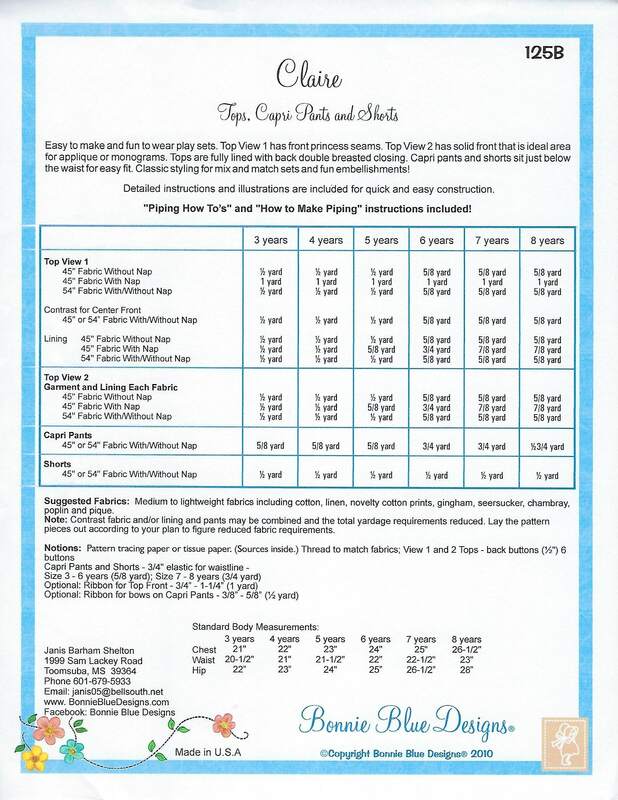 125B (3 yr, 4 yr, 5 yr, 6 yr, 7 yr, 8 yr) All sizes included in one envelope.